What Still Remains adds a fresh perspective on the post-apocalyptic thriller by skipping to the point after all the proverbial dust has settled. Now it’s not just a question of survival, but remolding society into a new shape. For lone wolves in this world, it’s not so much the infected people that they have to worry about, but just people in general, all scrambling for power in the wake of an upturned reality. The action takes place twenty-five years after an event known as The Changing, in which a deadly virus turned the vast majority of the population into feral creatures. Anna (Lulu Antariksa) is a survivor, recently left by herself after the death of her mother and the disappearance of her brother. One day, a lone man turns up at her house. His name is Peter (Colin O’Donoghue), and he is a preacher looking for new recruits to join his village. Looking for a new family and possibly the chance of finding civilization, Anna warily joins him as they go towards the religious village, but when she gets there, she finds a fate possibly worse than running from infected people. At first, What Still Remains seems like a simple story of survival. There is talk of clinging onto hope, believing in a higher power, and what happened in people’s past lives. But debut director Josh Mendoza has something smarter up his sleeve — using the dynamic of an altered world to comment on the nature of power, the weaponization of religion, and the need for community at no matter the cost. These aren’t just post-apocalyptic concerns either; we already live in a society where the fear of the “other” is used to whip up resentment and get people into line. As a result, What Still Remains works both as prophecy as well as fantasy. The most interesting concern of all is the story’s treatment of women. Despite all the recent progress made in civilized societies, come the apocalypse it’s almost certain that gender roles will be inevitably fixed back into rigid positions. Here the “greater good” is used as a weapon to subjugate women into being subservient to men (see also: The Handmaid’s Tale, Mad Max: Fury Road). Anna’s pushback against this is the most powerful part of the film, as it allows her to both be vulnerable and strong at the same time, giving her character agency even if the men (and women) around her would rather she had none. In her first leading film role, Lulu Antariksa does a lot with her conflicted character, able to say one thing with dialogue and another with her eyes. She carries a lot of the weight when the story meanders, helping to paper over some of its more stylistic flaws. At times, the visual style is bland, feeling more like a pilot for a post-apocalyptic TV show than a movie in its own right; only near the end does the cinematographer finally play with light in an engaging way. Additionally, as a thriller/horror movie, What Still Remains doesn’t nearly do enough to keep the viewer on the edge of their seat. Therefore, while it is engaging in theory, not enough is done to allow these theories to play out through the action itself. All elements are competently done, but there’s never that one classic moment to make the movie really stand out. 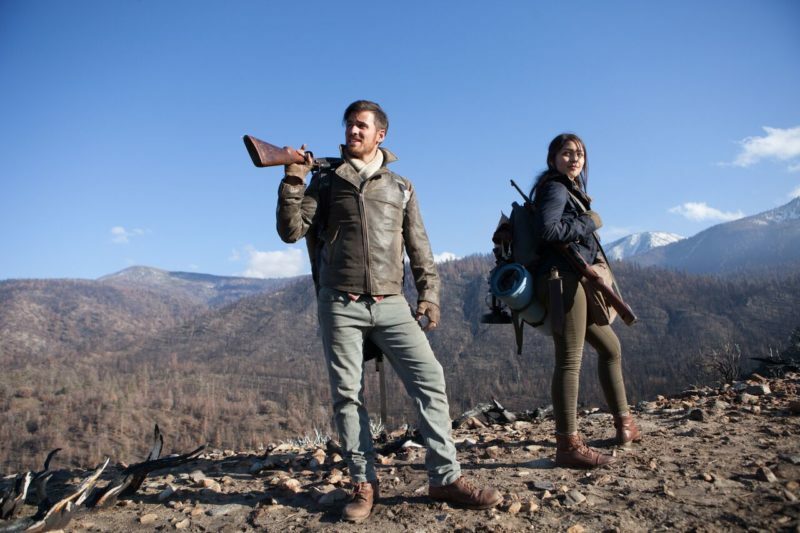 Once we get to the ending (which features one of my pet peeves — an obvious metaphor being used to stand in for something hardly warranted by the preceding film itself), What Still Remains has reverted back to the standard rulebook of post-apocalyptic cliché. After spending the past hour and a half undoing the conventions of the genre, this is a soft, disappointing landing. While endings may be the hardest part of any film, they serve as a way of tying up all its meanings into a nice, effective bow, giving a movie an overall shape. Credit must be given for taking a different route than the conventional zombie thriller, but What Still Remains sadly falters at its final, most important step.